Celebrate the Eid Dinner with Team DFT’s Biryanis and Pulaos! Eid Mubarak! This week team DFT is bringing you all a delectable array of biriyanis and pulaos to indulge during this auspicious time of Eid. I promise you all they are mouthwatering , indulging but guilt free . 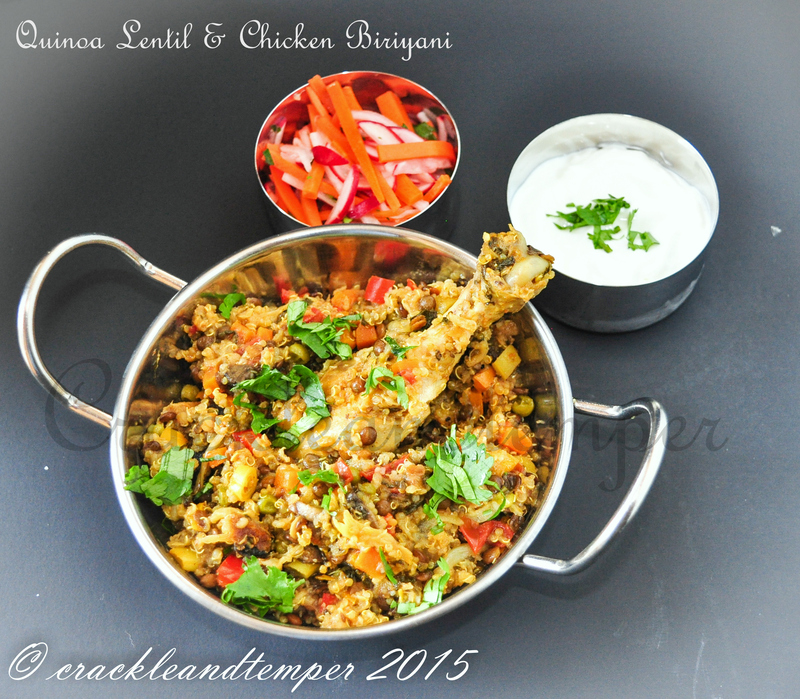 During this week I am presenting you all a Quinoa , Lentil and Chicken Biriyani. 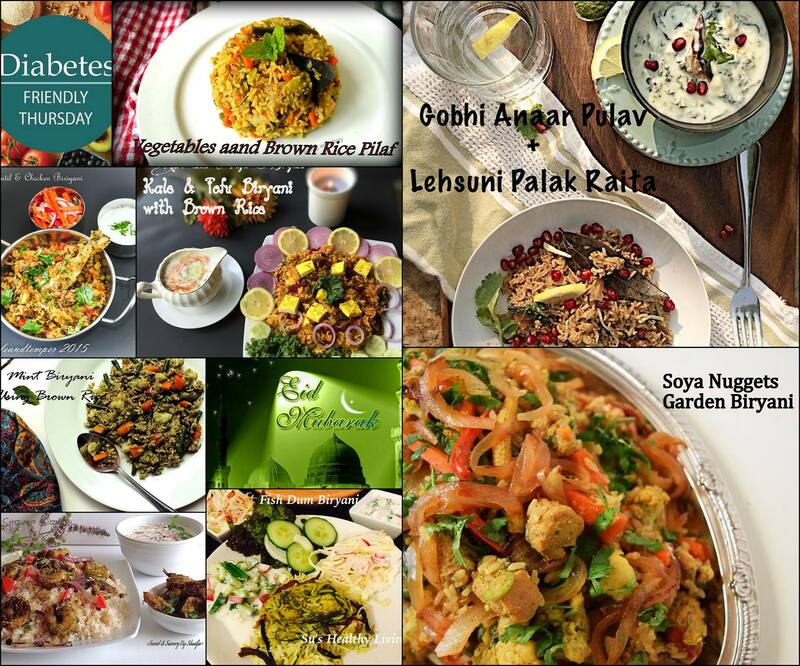 Read on more here to know more delicious recipes of this week. Who doesn’t love a fulfilling and fragrant biriyani to satisfy your hunger . 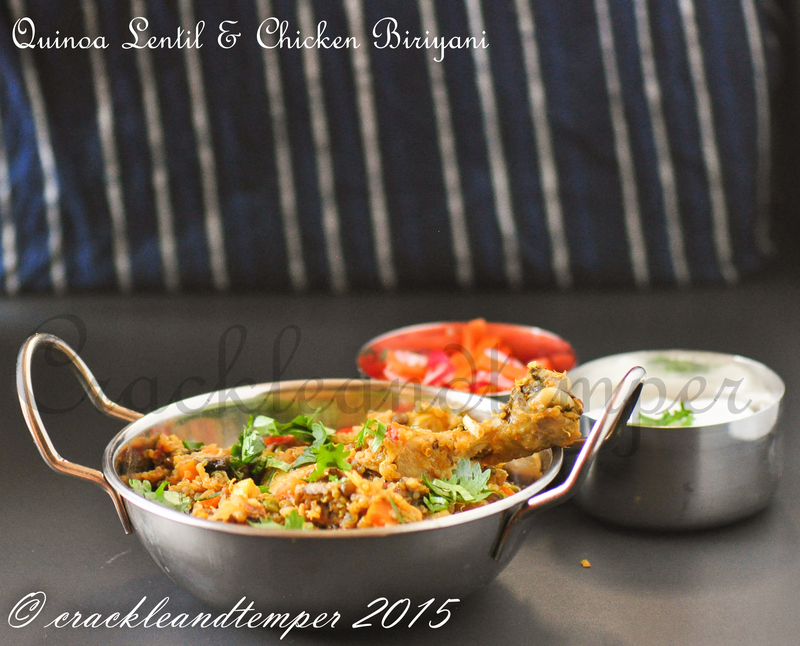 A biriyani is a delicate dish which is very flavourful and has to be done with a lot of precision. The making of biriyani differs from region to region. I have made this biriyani by cooking quinoa and lentil separate with spices , then made the chicken and mixed it together , this method is a kind of variation to the northern kerala style biriyani . A normal biriyani is made with basmati rice or jeeraga samba rice , for the DFT this week instead of using rice I have used Quinoa and Black Lentils. If black lentil is unavilable feel free to use split yellow moong dal also , but make sure not to pressure cook the lentils to retain the shape . I have only used chicken drumsticks here which has been skinned and fat has been removed and please avoid using thigh meat , use either breast or drumstick . 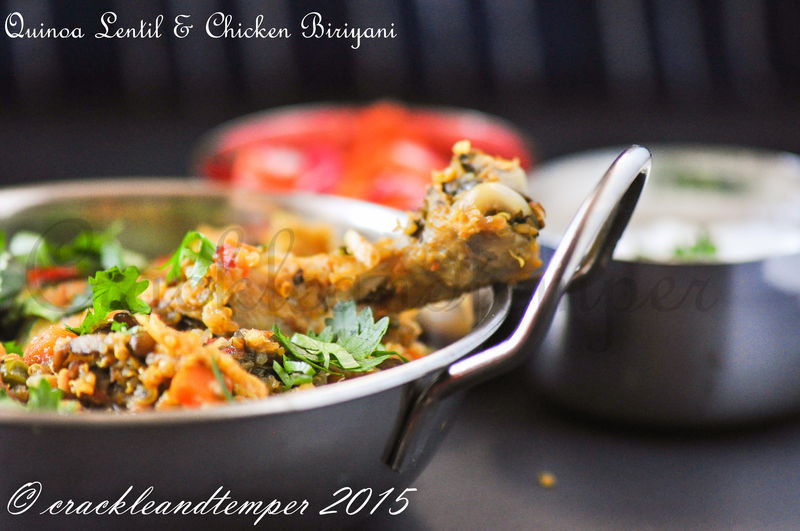 Making Biriyani is definitely a lengthy process but the result is totally worth . I have served this scrumptious Biriyani with a side of Carrot and Radish salad and Low fat yogurt instead of usual papad and pickle. Now let’s get into cooking this beauty !!! 1. Remove skin wash and remove fat of chicken . 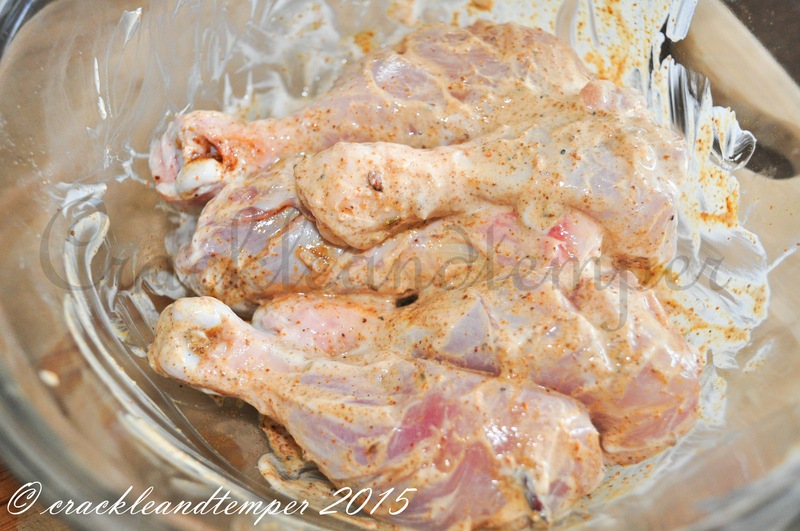 Marinate chicken with the items written in the marination section and keep it in fridge for 30 minutes. 2. While the chicken is in the fridge in a pan heat little bit coconut oil add all the whole spices then add washed quinoa to it . Add hot water enough to cover quinoa and cook till it is done . While quinoa is cooking cook black lentils on stove top it will take 20 minutes for the lentil to cook . Please do not pressure cook it . The lentils should look like in the below picture. 4. Now it is time to start the biriyani. In a pan heat some coconut oil add fennel seeds to it and fry for 20 to 30 seconds . 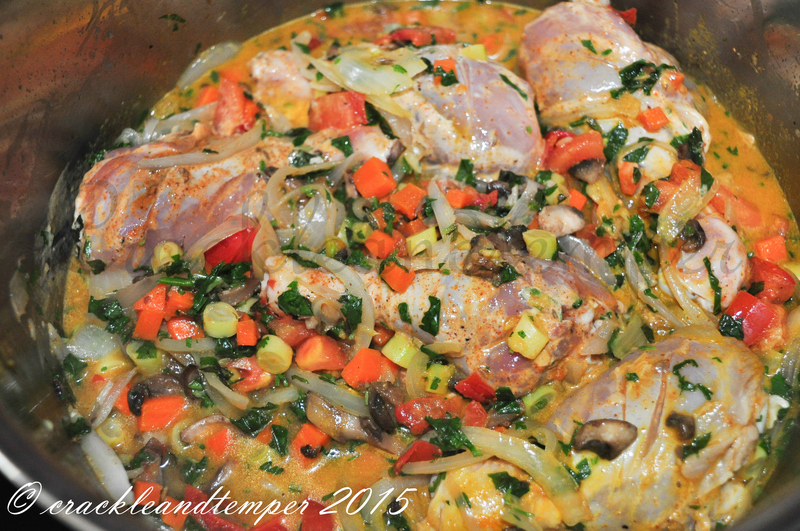 Now add onions and ginger garlic paste and saute it very well till the raw smell goes away . 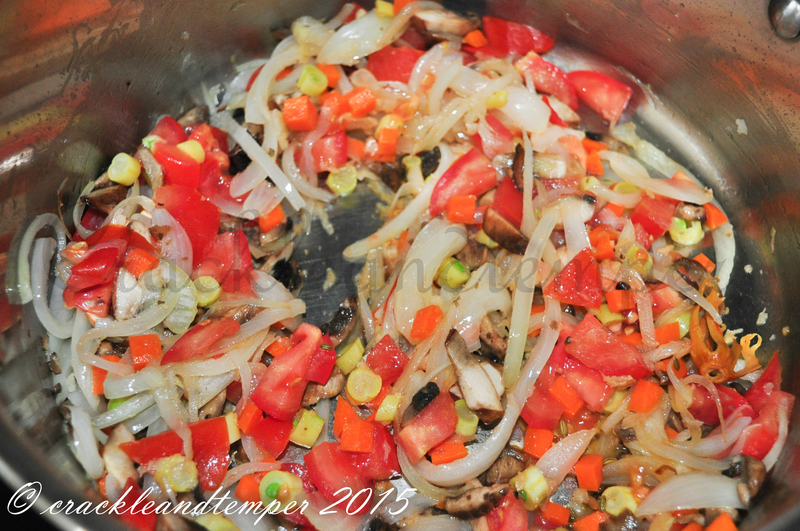 Now add all the chopped vegetables to it and saute well . 6. 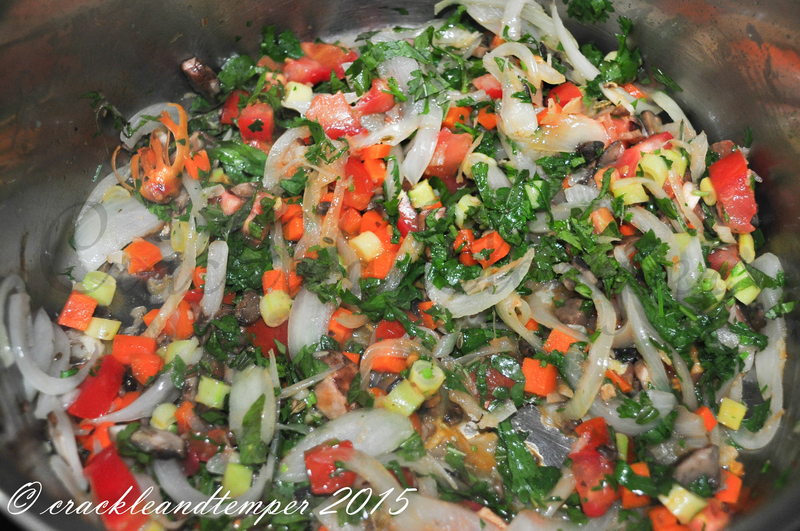 To this add chopped coriander leaves and chopped mint leaves . 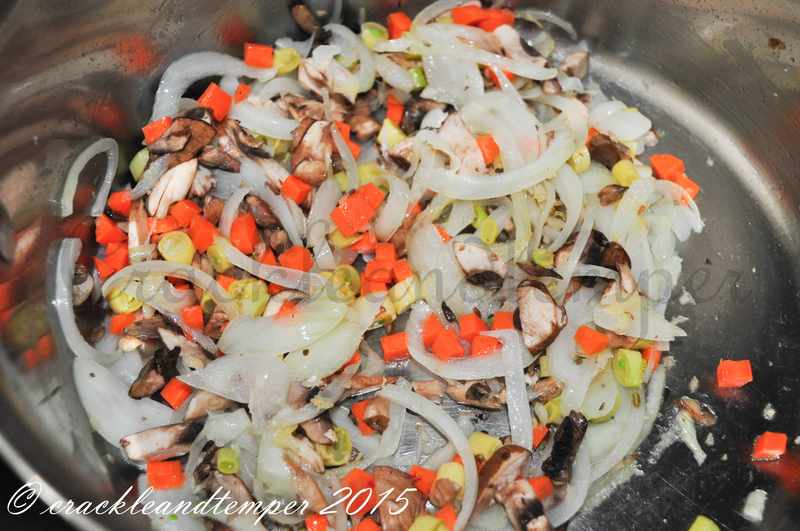 Saute it on medium heat till the leaves are wet and dark green in colour . 8. 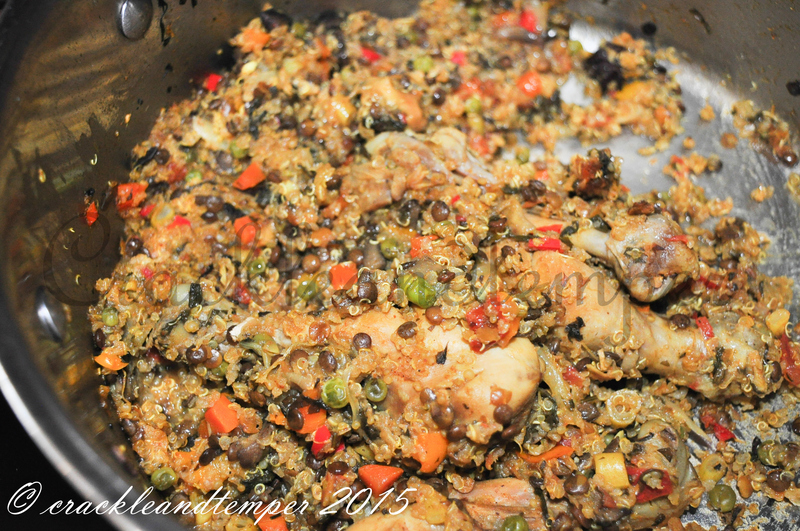 Wait till the chicken is cooked 3/4th , now to this add lentil and quinoa . Now reduce the flame cover and cook it for 10 minutes or till the water is all absorbed . 9. Serve with carrot & radish salad and yogurt . Mix chopped carrot , radish , green chilli , lemon juice , salt and garnish with coriander leaves. Quinoa is a grain crop grown primarily for its edible seeds which is a pseudocereal rather than a true cereal, as it is not a member of the true grass family. One cup cooked quinoa has 222 calories in which 39 gm carbohydrate and 5 g Dietary fibre . Even though it has lesser carbohydrate content compared to other polished grains it is still not advisable to consume more than the recommended serving size. 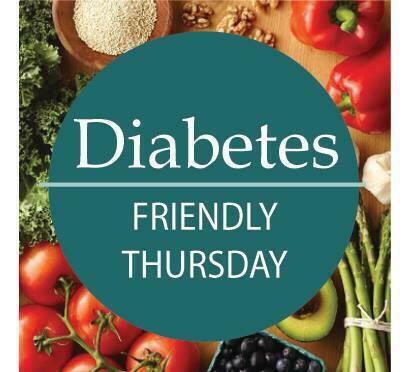 Quinoa is an excellent addition to a diabetic diet. A whole-grain with a low glycemic index to support an even blood sugar and it is packed with protein, fiber, vitamins, minerals . Lentils which is from legume family, can manage blood sugar disorders by preventing the sugar level to rise after a meal this is because of the low GI of lentils. One serving of cooked lentil contains a lot of minerals with no fat content at all , one cup of cooked lentil yields to 230 calories . 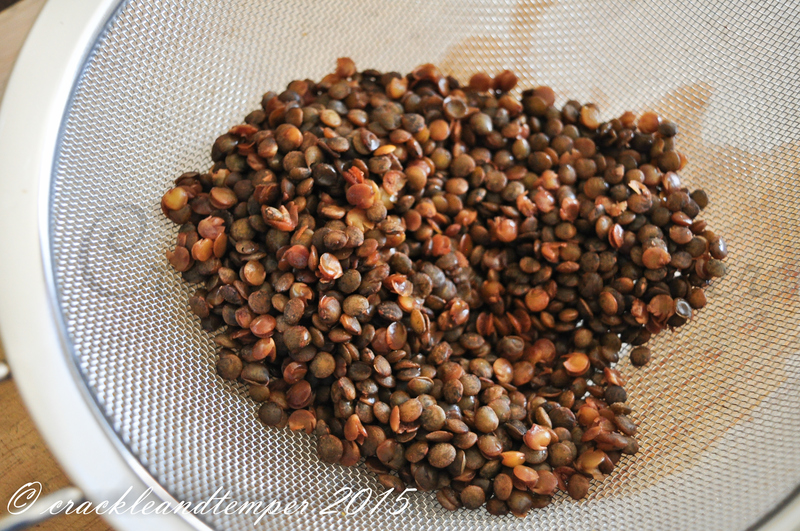 Lentils also helps in stabilizing blood sugar levels by providing steady and slow burning energy. According to American diabetes association one cup of cooked lentil contains 50gms of dietary fibre which helps in stabilizing the blood sugar. Chicken is one of the food item which is high in protein and it is knows as ” protein foods” ( Source: American Diabetes Association). But one thing we need to keep in mind is about the fat content of poultry , fish or meat . While consuming poultry you need to remove skin and all the fat , same applies with meat too . While we remove skin from chicken it helps to reduce saturated fat and cholestrol. Chicken does not have GI and it doesn’t increase blood sugar level , but you cannot eat more than the recommended serving size. Check here for this weeks Eid Specials by Team DFT !!! Pingback: KALE AND TOFU BIRYANI WITH BROWN RICE | LET'S COOK HEALTHY TONIGHT! 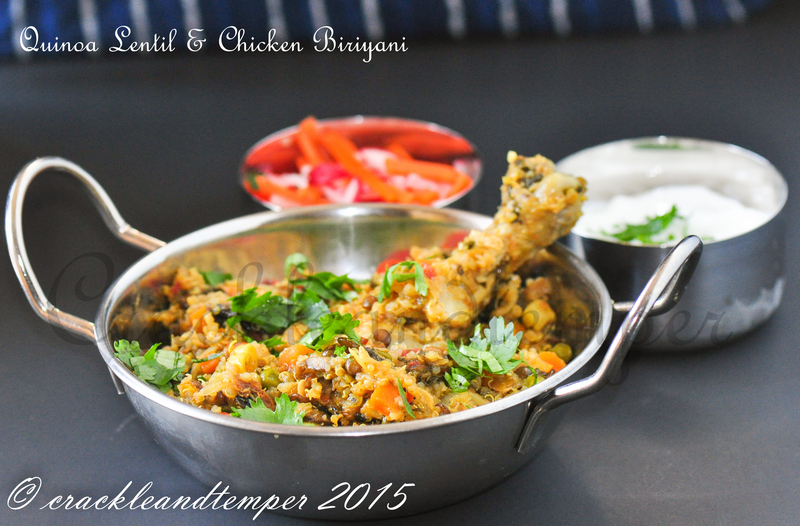 A must try recipe for me…what a well balanced combination of ingredients..Lentils, chicken, Quinoa…perfect DFT recipe…Kudos! This dish made me drool over Quinoa… awesome !